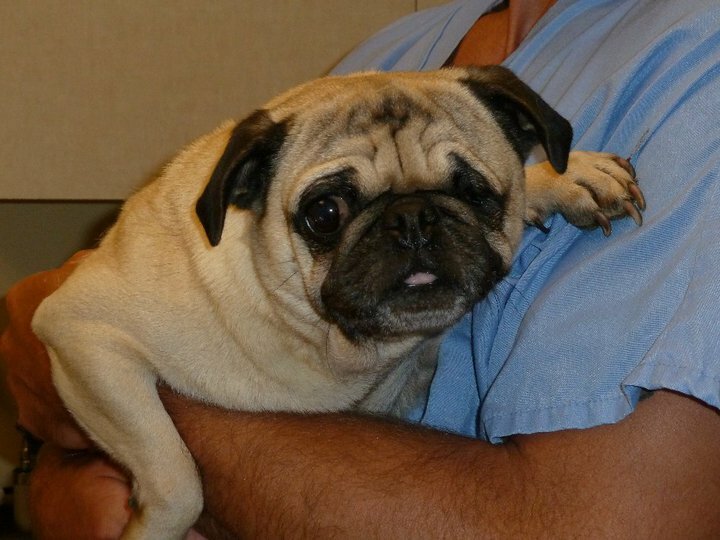 Liberty is a 5 year old female fawn pug who was rescued from a puppy mill in Western Nebraska. She has a sunken eye, but no pain. She is spayed, microchipped, and current on her shots. Her teeth were also cleaned at her visit. She weighs 18.10 pounds. 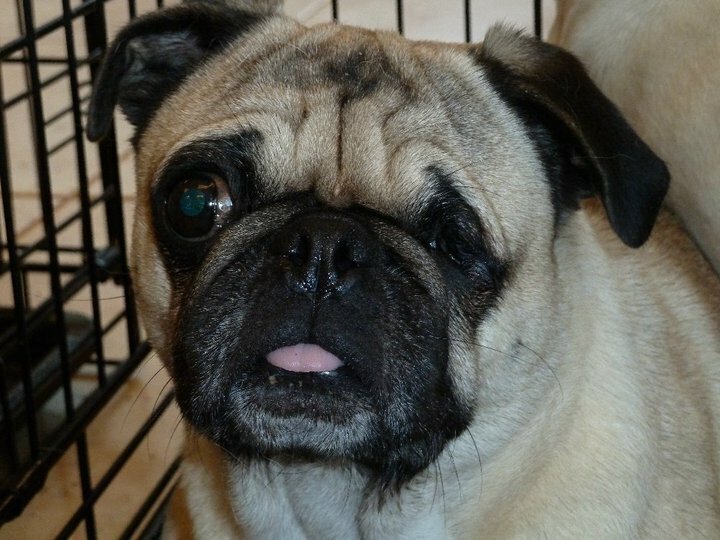 Update from Foster Family: Liberty is a foster pug through PugPartners Nebraska. 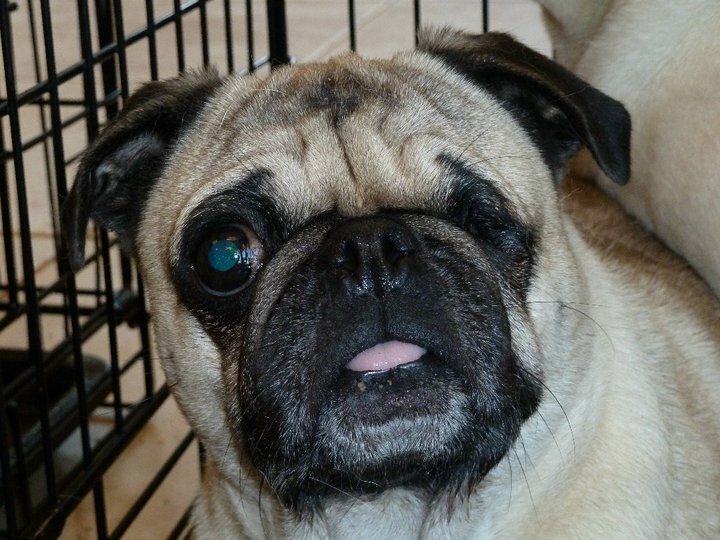 She is about 5 years old and has a sunken eye–but that doesn’t slow her down! She is still very nervous around people and is working on leash training, potty training, and basic obedience. She is getting along very well with our dog, Cooper, and our cats. She is very tolerant.